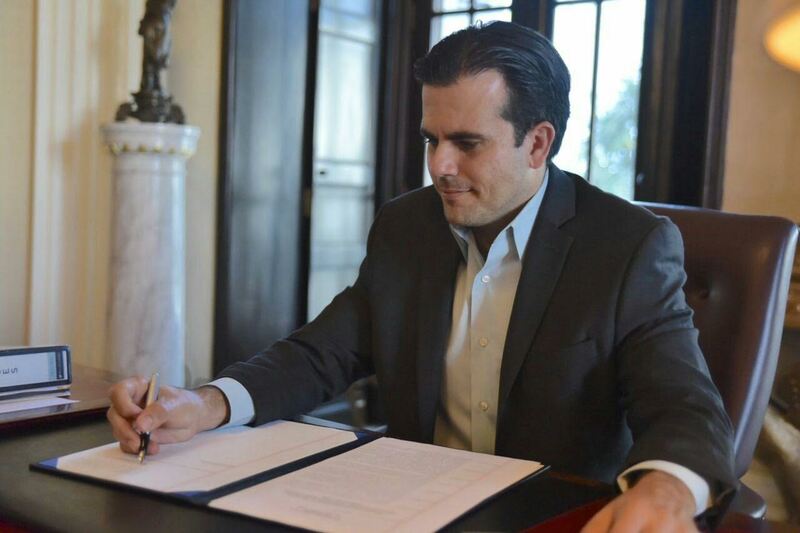 Puerto Rican Governor Ricardo Rossello will present a fiscal turnaround plan to a federal oversight board in Washington DC on Tuesday. He hopes the 10-year plan, which will restructure billions in debt, will give the island breathing room amid a suffocating economic crisis. The picture is grim. With more than $70 billion in debt and a $7 billion budget shortfall, Puerto Rico is in the grips of a serious fiscal crisis. The US territory has failed to make four debt repayments over the past 18 months, sending creditors into a frenzy. The social outlook is just as gloomy. 45% of Puerto Ricans live below the poverty line and at 12%, the unemployment rate is more than twice the US average. Governor Rossello, who assumed office in January, campaigned on a platform promising to pull the Island of Enchantment out of its financial mess. To do so, the federal oversight board has recommended he cut 10% of the island’s pension costs – an unusually big hit. Mr Rossello will be hoping to sell them on less extreme cost-cutting measures, like shrinking the size of the territory’s government and cutting healthcare costs.